Our customers mean a lot to us, which is why we want to brighten up your day with a NICe Surprise when you visit us for a skate! We’re excited to announce the introduction of NICe Surprise – on-the-spot prizes which will be given out to customers at random during weekends. Prizes include Slush Puppies, Cadbury chocolate bags, 241 meals in Sub Zero and even Motorpoint Arena concert tickets! So how do you win? 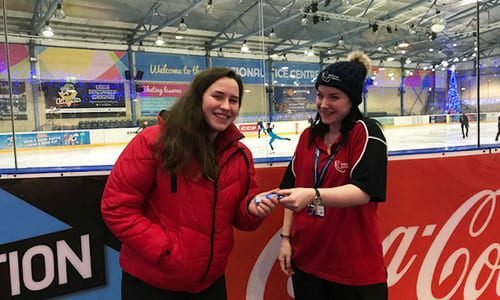 Attend a skating session during any weekend in the next few months and you could be in with the chance of either being picked at random or finding a NICe Surprise scratchcard voucher hidden in your shoes! Prize claim details can be found on the voucher but if you win and you’re still not sure how to claim your prize, ask one of our Customer Experience Coordinators who will be more than happy to help. Have you won a NICe Surprise? We’d love to see your prize so be sure to mention it on Facebook, Twitter or Instagram and tag us!